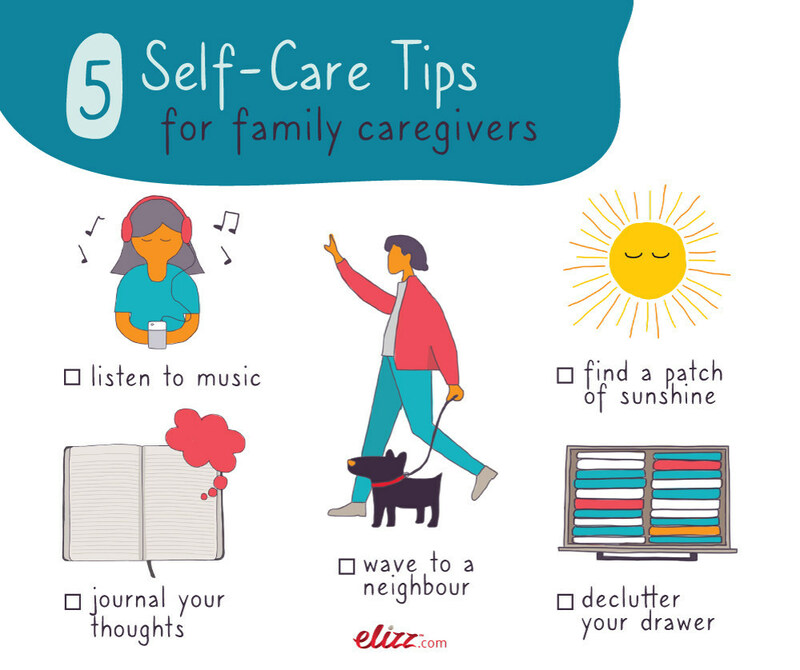 Elizz is celebrating National Family Caregivers Day this year by recognizing the importance of self care for family caregivers. Elizz, powered by SE Health, recognizes that caregivers spend so much time caring for others and little time on themselves. An online survey conducted by Elizz in 2018 found that 66 per cent of caregivers have never been asked How are you feeling today? By simply asking ‘How are you feeling today?’ can make all the difference for a caregiver. This question is just one of many that Elizzbot asks caregivers. Elizzbot, an AI chatbot created for family caregivers by Elizz, in partnership with X2AI, is readily available to caregivers 24/7 through Facebook Messenger. As part of Elizz’s ‘Smart Family Caregiving‘ portfolio, Elizzbot is designed to use proven therapy techniques to provide unbiased emotional support and to help caregivers practice self care by strengthening emotional resilience and promoting wellbeing. As part of recognizing the importance of self care, Elizz will be hosting a Facebook Live event with Olympian Silken Laumann on National Family Caregiver’s Day (April 2, 2019) at 10 a.m. EST. Laumann, four-time Olympic champion, is one of Canada’s most inspirational leaders and will be discussing her incredible journey of overcoming personal challenges and sharing her self care tips. « Do you teach your kids about money?